Whether this is your first trip to San Juan, or like us, have been there many times before, you might be looking for something different to do this time around. 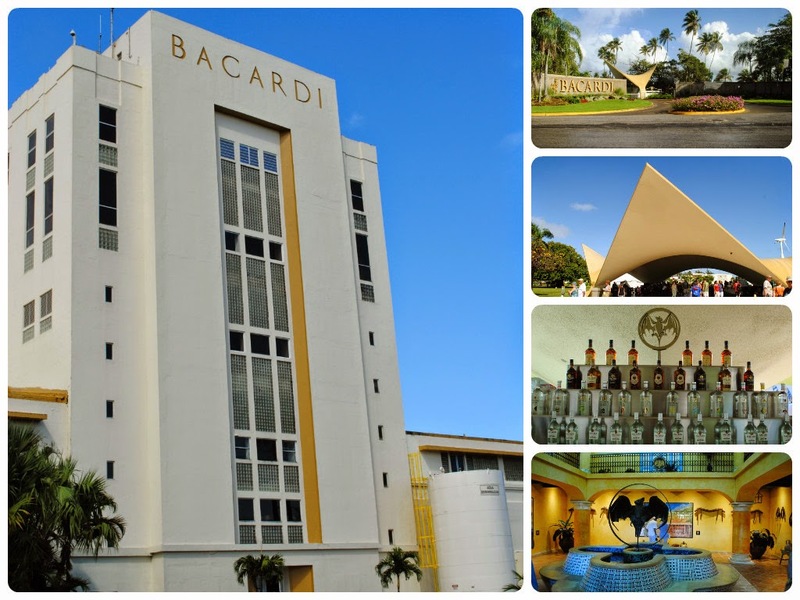 We had never been to the Bacardi Rum Distillery before, so we decided to book a shore excursion through the cruise line. It is possible to do this tour on your own, but we opted for convenience over price. 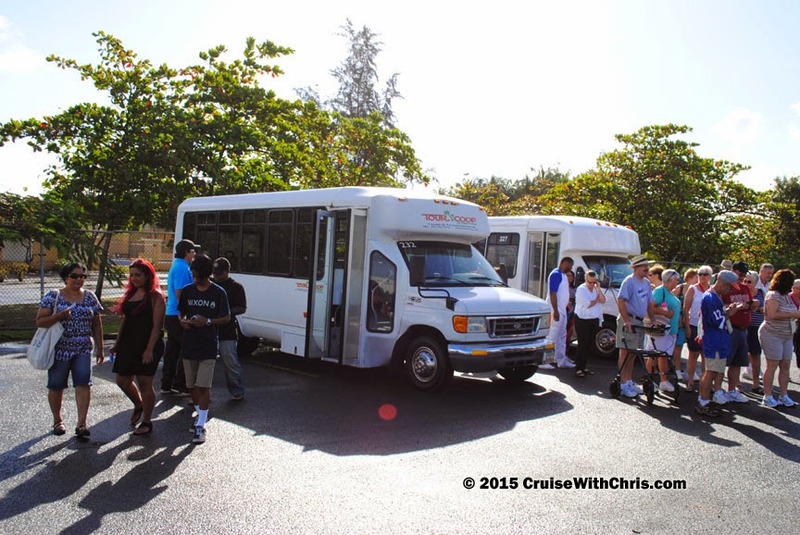 Carnival contracts with Tour Coop to provide the tour to Bacardi Distillery and Old San Juan. Upon arriving at Bacardi, you are given two drink tickets and a tour number. Tours depart every 20 minutes or so from the welcome tent. The ticket can be exchanged for a rum drink of your choosing. Be sure that you have enough time to finish the drink before your tour is called because no drinks are allowed on the tour. When your tour is called you'll board a tour tram for a short (1 minute) ride to one of the Bacardi buildings. 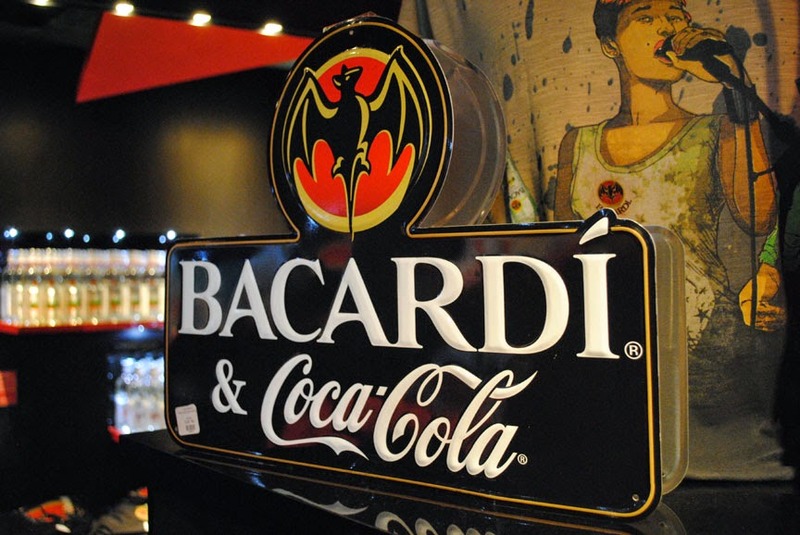 In the lobby you'll see various artifacts that tell about the Bacardi family history. The tour includes a video about the family and then you proceed into another room where you'll be able to smell some of the different Bacardi rum "flavors" and watch a video that explains the rum making process from sugar to rum. 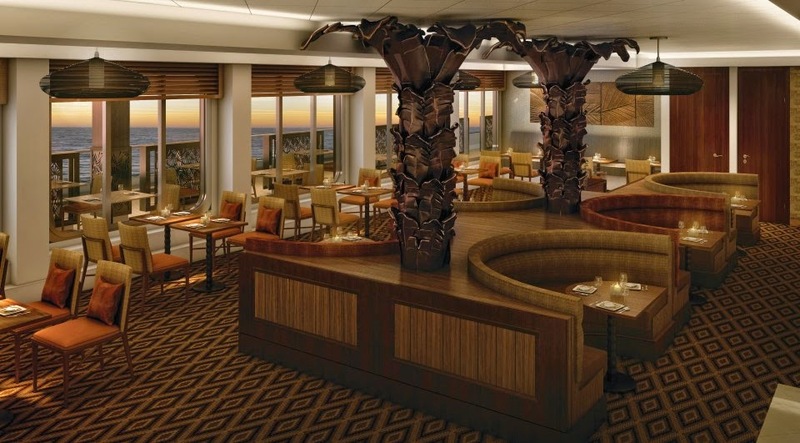 There's a "bar" where they'll describe how two of the most popular rum drinks, Mojitos and a Cuba Libre, are made. Browse amongst the various Bacardi displays, including magazine ads from the 40s. You can purchase rum or Bacardi logo items in the gift store before returning to the welcome tent to finish your drink coupons if you haven't already done so. You'll have ample time to explore before boarding your van for the ride to Old San Juan. This is an enjoyable tour which we'd recommend that you try at least once in your lifetime. Tip: You can book a tour with the ship or travel to Bacardi on your own: From Old San Juan – Take the ferry from Pier 2 to Catano, for $0.50 pp, each way. When you arrive in Catano, go to the right for a taxi to the factory for about $3.00 pp each way. 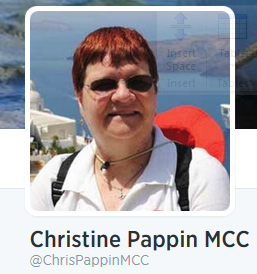 We'll continue with more to see and do in San Juan and describe the rest of our cruise in future articles. If you are just joining us, we have several articles in this mini-series already. See our main article (click image). 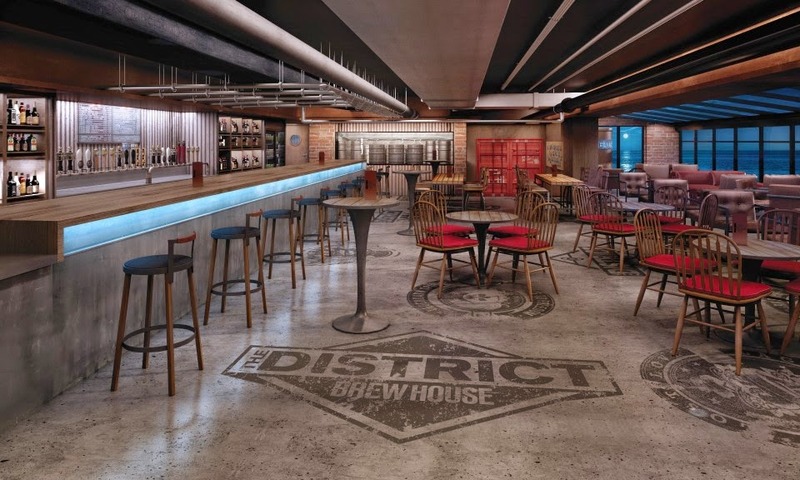 Norwegian Cruise Line is known for their innovation and the new Norwegian Escape, which debuts this November will be no exception. 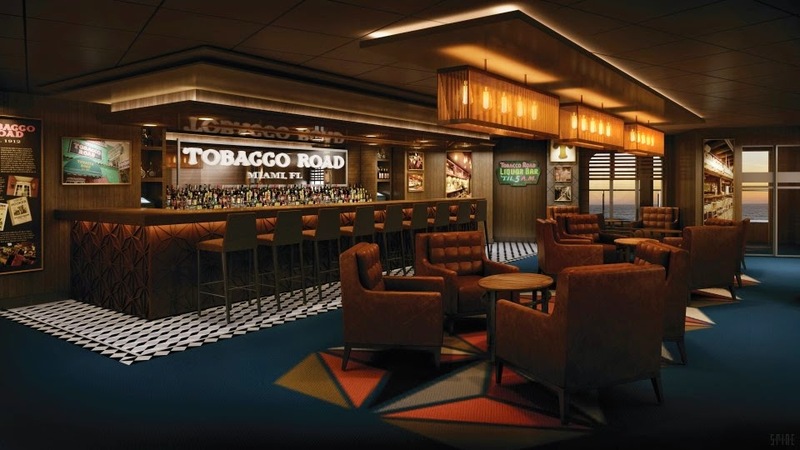 Norwegian Escape will homeport in Miami and sail to the Caribbean year-round. We've just attended a local unveiling of some of the new features onboard this fabulous new ship. 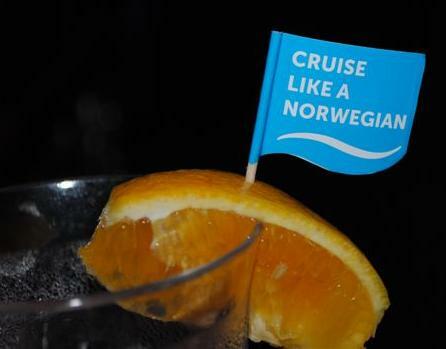 Watch this video to learn more about what awaits you when you step onboard to Cruise Like a Norwegian. 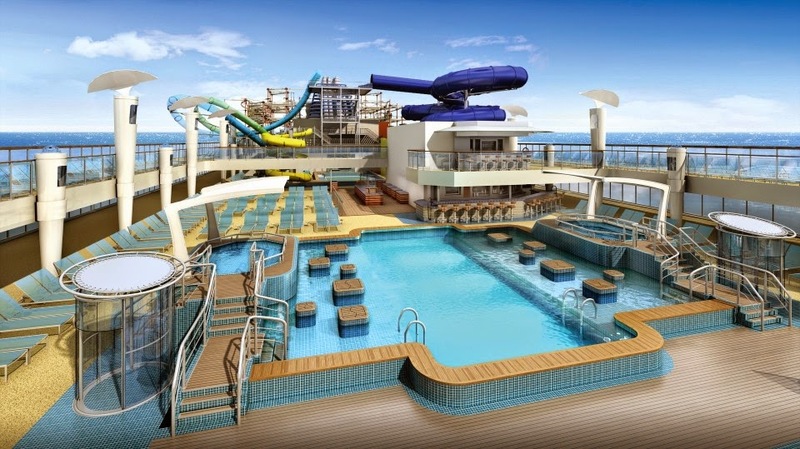 This Breakaway Plus class ship will have many innovations as you can see from these images (courtesy of Norwegian Cruise Line). 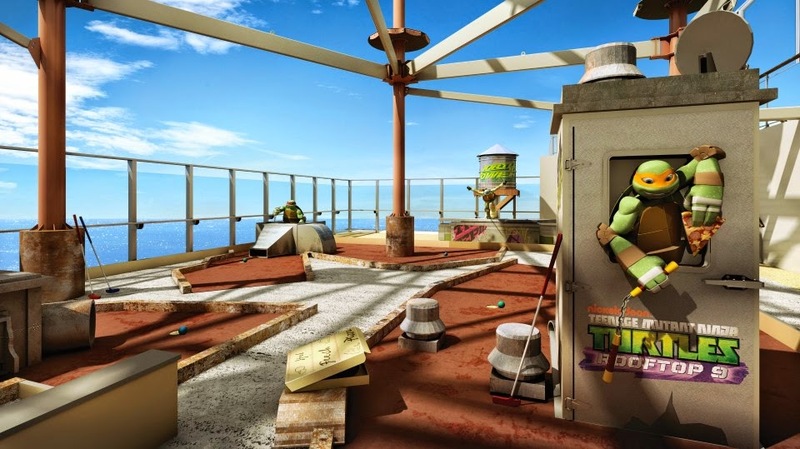 We hope you enjoyed these artist renderings of some of the attractions that will be found on the new Norwegian Escape. 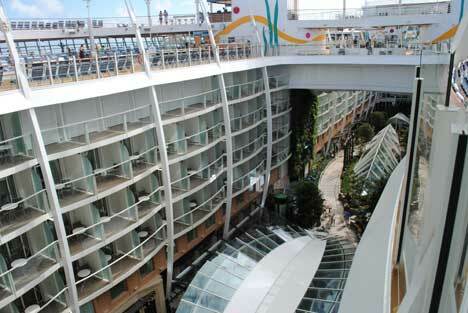 Our 2015 National Conference is being held on this new ship. We will be among the first people to sail out of Miami. It's the middle of winter in North America, so it shouldn't be hard to come up with images depicting "COLD" for the weekly Twitter photo forum #FriFotos. With all the cold temperatures sweeping the country and heavy snowfall, you may have had your fill of "cold" images. Nevertheless, we have gone through our archives and have some inspiration for you. This image was made on a day earlier this year (brrrrrr). 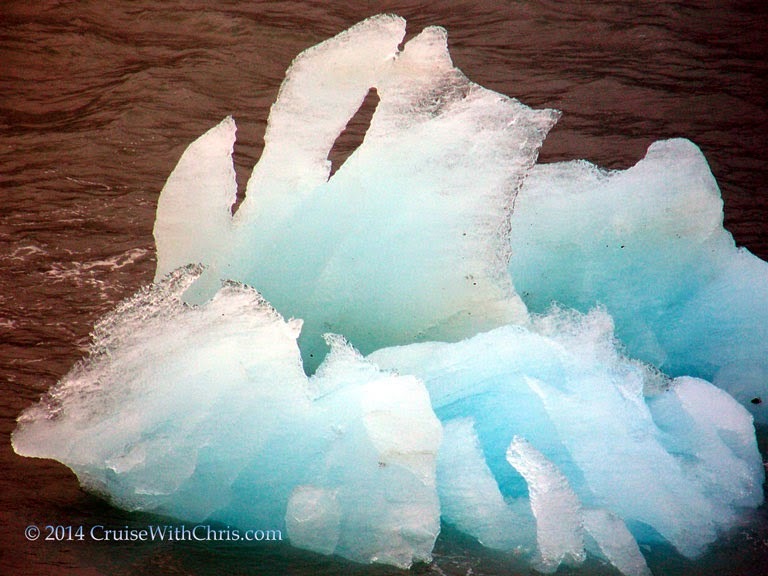 One of our favorite sites during our Alaska cruises was the time spent cruising Hubbard Glacier. If you've never been to Alaska we'll try to explain the experience. The ship slowly enters the bay and immediately you start to see chunks of floating ice passing you by. In the distance you hear the calving of the glacier (if you are fortunate) and see the blue glacial ice. It is quite the site to see, especially if there is another ship in the bay along with you. The best vantage point is from your balcony or one of the open decks if you haven't booked a balcony cabin. We highly recommend a balcony for an Alaska cruise. You can go inside your cabin and warm up between photos if you want to. 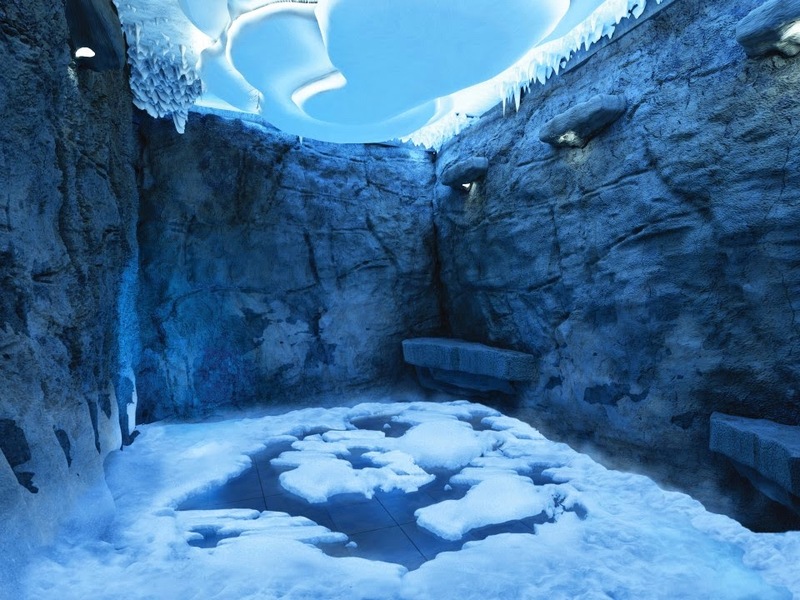 It doesn't matter what side of the ship you are on because the captain will make a 360 degree journey so that everyone has the opportunity to see the glaciers. Here are a few of our favorite images. We'll post a few more for the forum as well. 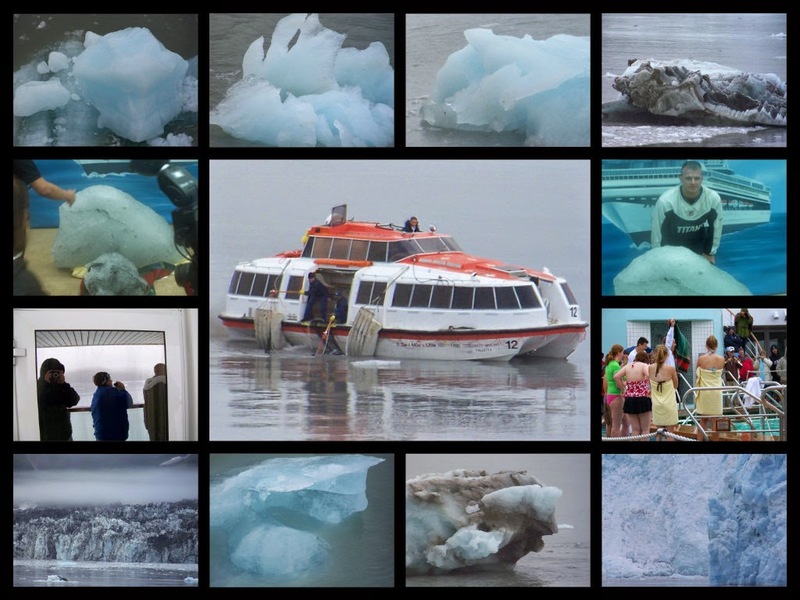 We invite you to go through your photo archives and find some examples of "COLD" to share on #FriFotos this Friday. 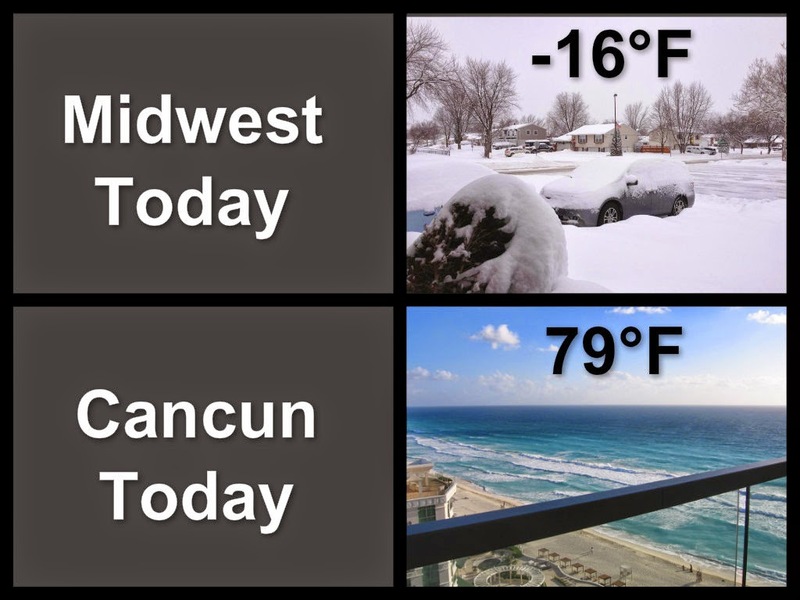 If it makes you shiver, and you need to get away to somewhere "WARM", let us know and we can help you with that as well. When selecting your dinner location, do you check to see if they have Wi-Fi? While shopping, do you tend to frequent malls and other stores that also have Wi-Fi available? If you answered yes to these questions, you'll also want Wi-Fi access during your vacation. Having internet access at sea is nothing new. It has been available for many years. If you've been cruising for years, you are also painfully aware that speed of your connection typically was not on par with your land experience. At the same time, it wasn't free either and in combination with the slow speed your time online could be pretty costly. 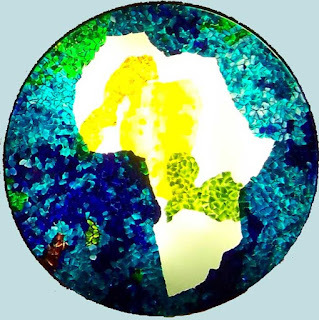 For some people, like us that need to be connected, it was a cost of doing business, but if you are just getting online for pleasure, that was a different story. With the increase in social networking, passengers have been requesting faster and less expensive internet access. 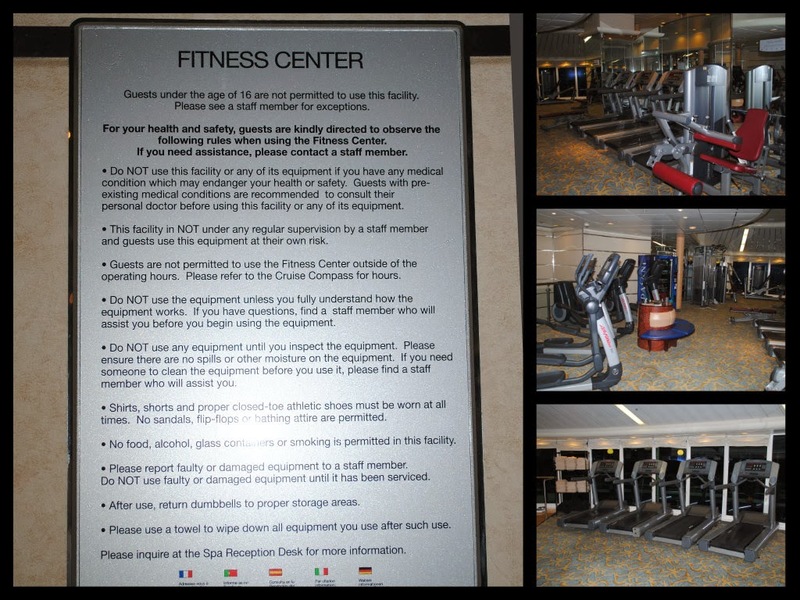 The cruise lines have made this one of their tasks to address. 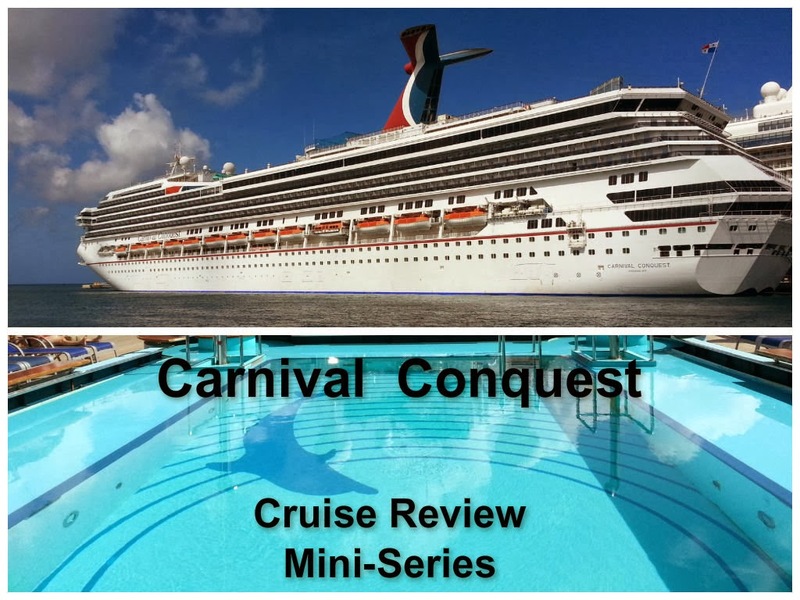 The first major announcement for 2015 from the cruise lines is from Carnival Corp.
Carnival Breeze is piloting two new changes that should begin to address the largest complaints about cruise ship internet pricing. 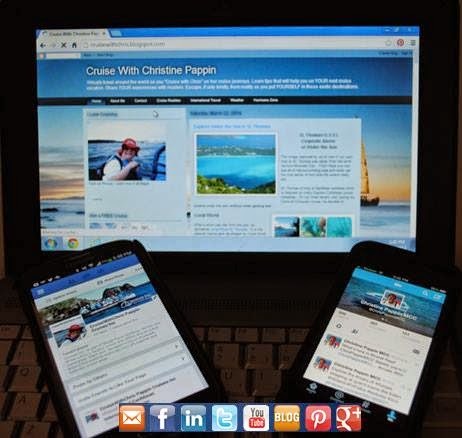 A new app has been developed for iPhone and Android phones which can be installed for free and provides the user with ships schedules and other important information to help make your cruise enjoyable. Optionally, you can sign up for the "chat" feature for $5 for the length of the cruise. With this feature you can communicate with your fellow passengers individually or in groups. 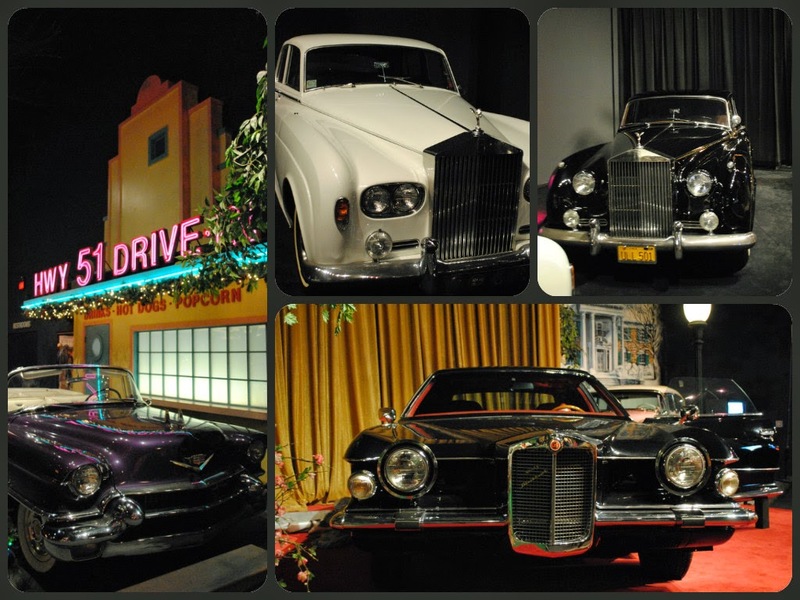 This week, #FriFotos theme is #CARS and the first thing that came to mind when we started going through our picture archives was our visit to Graceland in Memphis, TN. 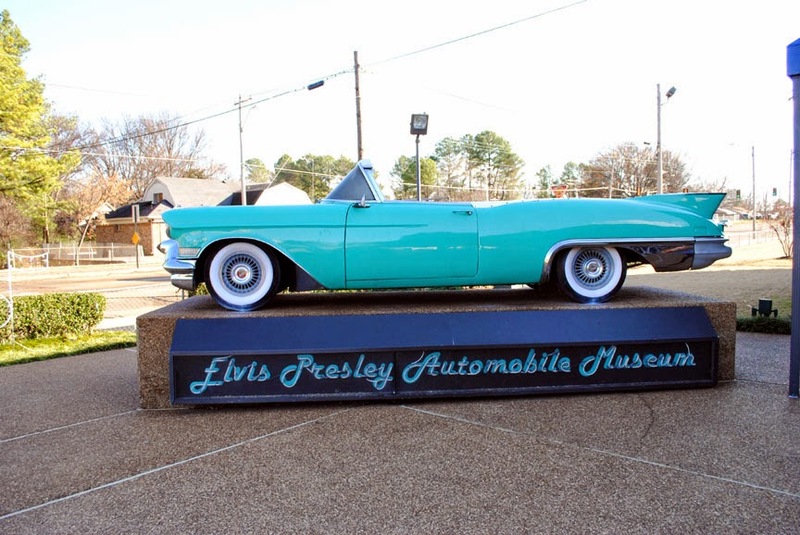 As part of the VIP or Platinum tour packages, you have the opportunity to stroll down a tree-lined street with several of Elvis Presley's favorite vehicles on display. 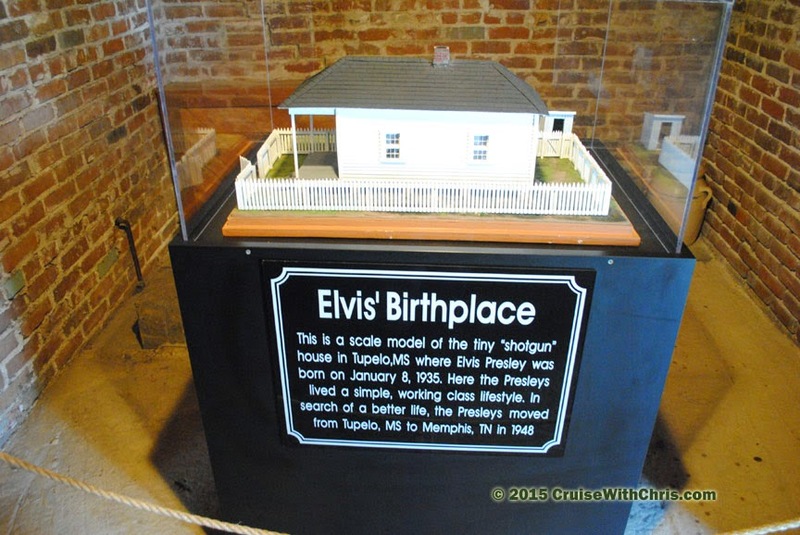 This year marks Elvis Presley's 80th Birthday. 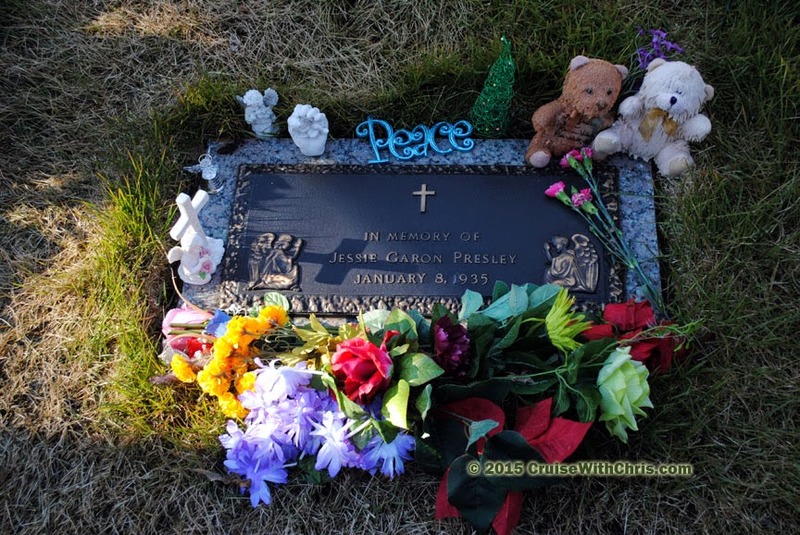 If you missed his birthday celebration on January 8th, you can relive it by visiting the official Graceland website or better yet, plan a visit to Memphis. 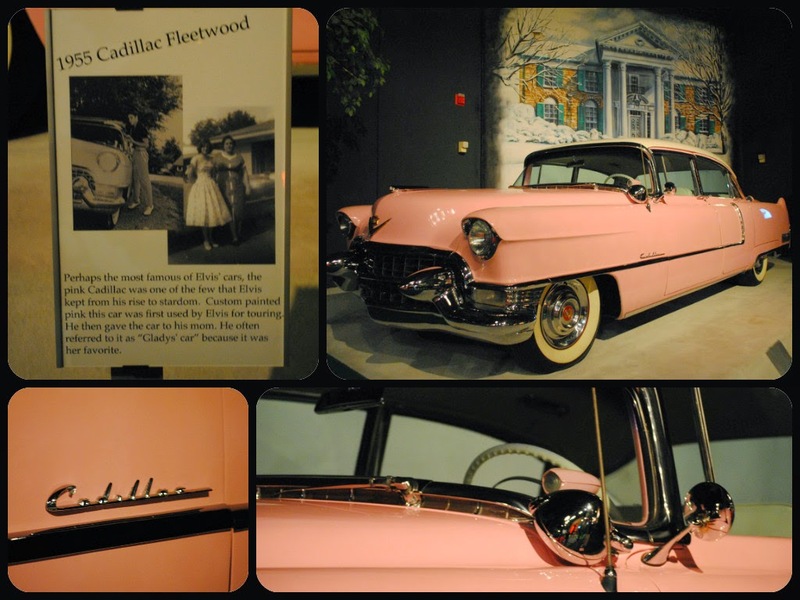 Perhaps the most famous of Elvis' cars was the 1955 Cadillac Fleetwood. It was painted pink and first used by him for touring. He later gave the car to his mom, Gladys. There are several cars and other toys on display in the museum. Some of the other popular cars include 1960 & 1966 Rolls Royce Silver Cloud, a 1975 Ferrari Dino, Harley-Davidson Electra-Glide Motorcycle, and 1973 Stutz Blackhawk to name a few. When you visit Graceland, plan to spend the entire day there or longer so that you can see all the exhibits at your leisure. Post your CARS pictures tomorrow. Hopefully this gives you some inspiration for the theme. Honningsvåg at 70° 58' N, in Nordkapp municipality, claims to be the northernmost city in Norway and even in the world. It is situated at a bay on the southern side of Magerøya island, while the famous North Cape and its visitors center is on the northern side, 45 minutes away from where our ship docked. 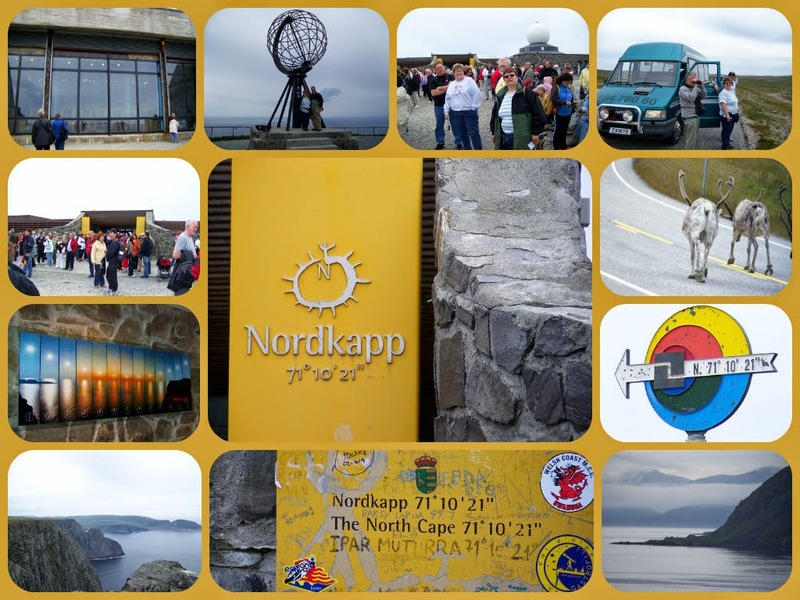 Our plan was to take the North Cape Transfer (FFR Bus) public bus to North Cape. Here I am waiting with fellow passengers for our bus to arrive that would take us there. We had been told that there was no need to reserve seats to the North Cape in the summer season, they guarantee room for everyone. Unfortunately, we found out this wasn't the case. There was a large group of foreign tourists from our ship that filled the entire 50-seat FFR bus and we were unable to get on the 10:45 transfer to North Cape Hall. 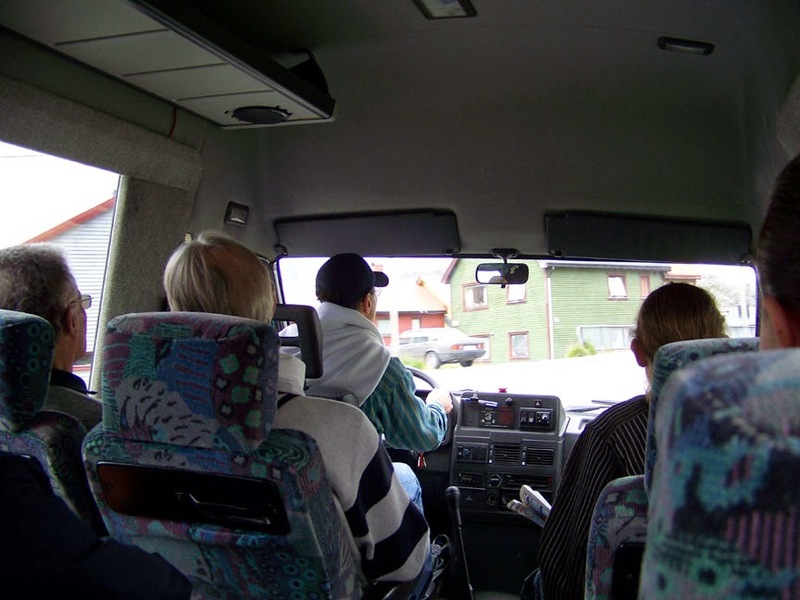 The bus departs Honningsvåg at 10:45 AM and arrives at the North Cape at 11:15 AM. The return bus departs the North Cape at 1:15 PM and arrives at Honningsvag at 2:00 PM. By taking the public bus, if the weather is terrible, you are not locked into a ship's tour. 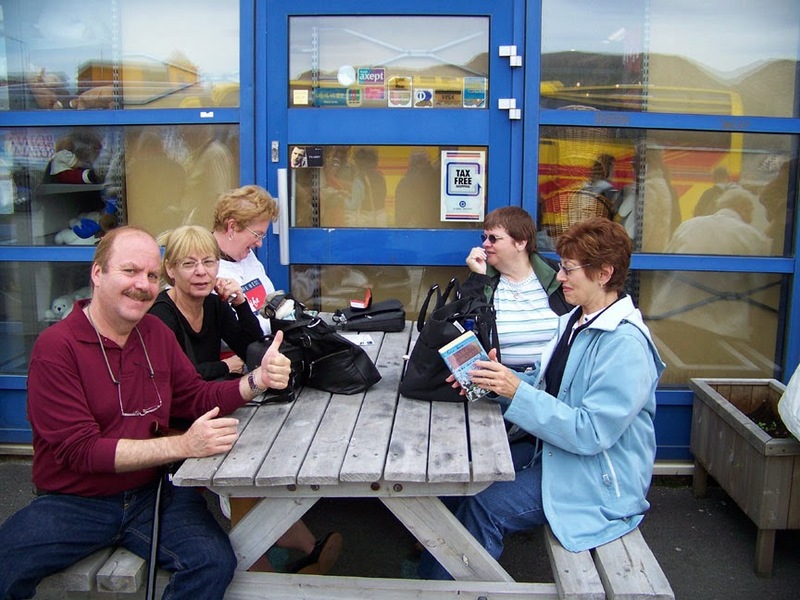 TIP: When you arrive in Honningsvåg, go to the tourist office and confirm the bus schedule. You can't miss it - right by the biggest souvenir store near the pier used by cruise ships (not the Hurtigruten pier). Note: there's been a change in ownership of the bus since we went there. If there happens to be a large group, like in our case, you might not be able to get on this bus. FFR did add a second bus in the afternoon (1:30 departure from the pier). Even going by Taxi is not an option, as they are quickly booked. If you go by Taxi, make sure they wait for you. We were told they would wait for an hour. With the bus departed leaving us behind, our hopes of getting to North Cape seemed to be impossible. One of the local shop keepers came by and asked us if we were trying to get to North Cape. We said there was a group of us that had missed the bus. They told us about a "mini bus" that was for rent at a nearby shop. One of our group said they could drive it, so we pooled our money and rented the mini bus. The vehicle wasn't in the best of shape, it was quite old but we decided to give it a shot. We hadn't gotten far when we seemed to be having mechanical problems. It was difficult to make it up the hills, but we kept driving. There were even some animals in our way, as you can see in the images above, but as we said, nothing would keep us from completing our mission. After arriving at North Cape, we contacted the company where we had rented the vehicle and told them about the difficulty we were having. They sent a vehicle to follow us back from North Cape. We were able to get back, as the return trip was a bit easier, without difficulty. We all had a good laugh about our adventure. It certainly would have been much easier with the ship's excursion, but it would not have been as memorable. This story was prompted by preparation for #TravelPics chat/share on Twitter. While other chats simply talk about travel, #travelpics is all about participants sharing their own travel photos about each theme. Come join us! The next #travelpics chat is Monday, January 19th, 2015, from 3-4pm Eastern time. Join us for our chat/share on famous attractions! Kevin Sheehan, President & CEO of Norwegian Cruise Line resigned from the company. The announcement was unexpected and comes on the heals of the completion of the acquisition of Prestige Cruises International, which operates two upscale cruise brands, Oceania Cruises and Regent Seven Seas Cruises. Frank Del Rio was named by the Board of Directors as the new President and Chief Executive Officer. He has more than 20 years of cruise industry experience and has served as CEO of Prestige since 2007. "Frank Del Rio has established himself as a leader and innovator in our industry," said Steve Martinez, member of Norwegian's Board of Directors. "Norwegian is poised for continued growth and we are delighted to have Frank lead our team during the next phase of the company's evolution. We also thank Kevin Sheehan for his service to the company. Kevin has built Norwegian into the highly successful company it is today – a company that has reported 25 consecutive quarters of growth in trailing twelve month Adjusted EBITDA coupled with consistent margin improvement. Most recently, Kevin was integral to the Prestige acquisition, assembling a diversified portfolio of brands that spans all market segments in the cruise industry, which we believe puts the company in a strong position for the future." I am excited to begin this new chapter in my long career in the cruise industry," said Mr. Del Rio. "I am blessed with a great team at Norwegian, and I am confident that together we can help our company continue to realize great things." "Cautious optimism" might be the best way to describe consumer reaction to the announcement. 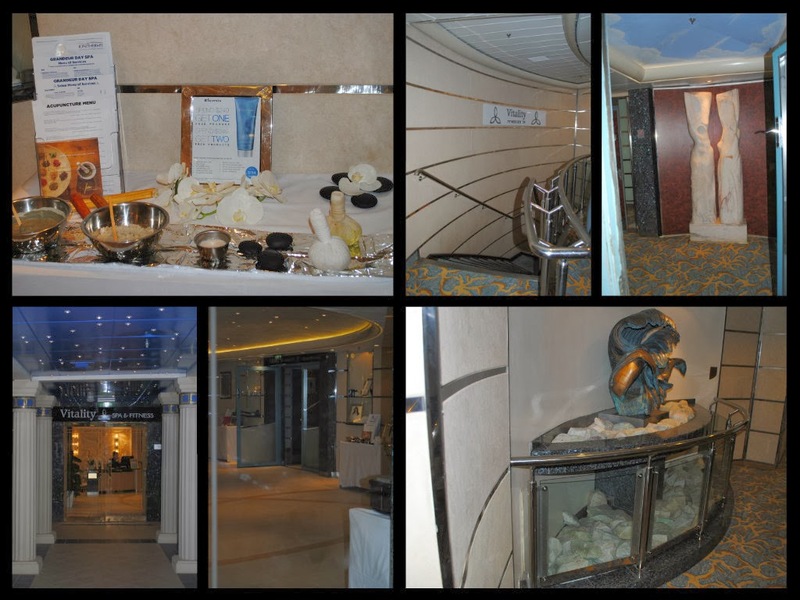 The acquisition of Prestige Cruises had caused some concern that there would be changes in the luxury product after the merger. With Del Rio now at the helm, one would hope that any change would be positive influence on the contemporary part of the portfolio of the combined company. Some industry watchers had expressed concern about Del Rio's involvement in the defunct Renaissance Cruise Line. From our perspective, that is old news, with his successful co-founding of Oceania Cruises serving as proof that there were lessons learned from the past. Any way you look at it, this is exciting times for Norwegian Cruises and their guests as changes unfold and their young fleet expands with the arrival of Norwegian Escape later in the year. Today would have been Elvis Presley's 80th Birthday and the celebration is in full swing at Graceland. 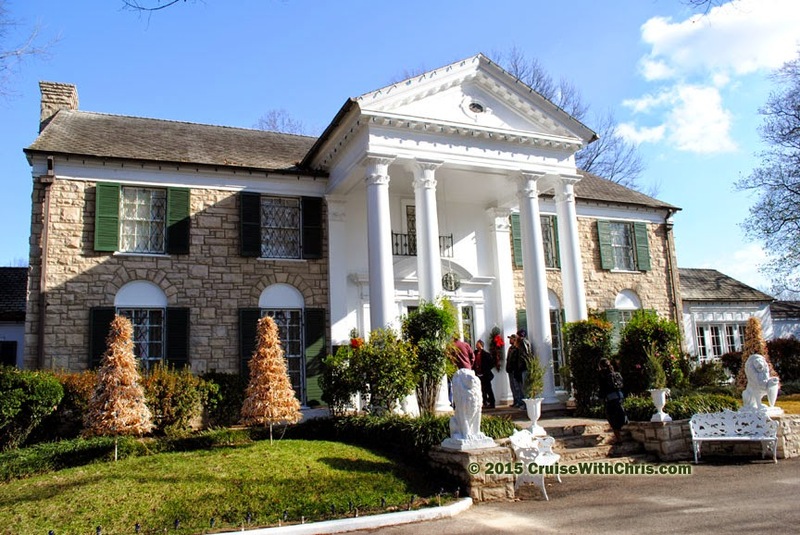 In Honor of his 80th Birthday, we'll feature more images & stories from our visit to Graceland. 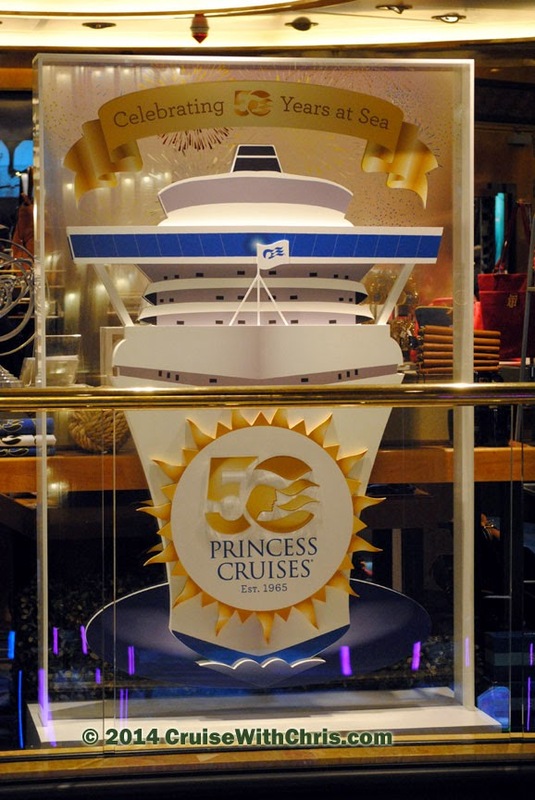 One of the highlights of the upcoming year is the year-long celebration of Princess Cruises' 50th Anniversary. 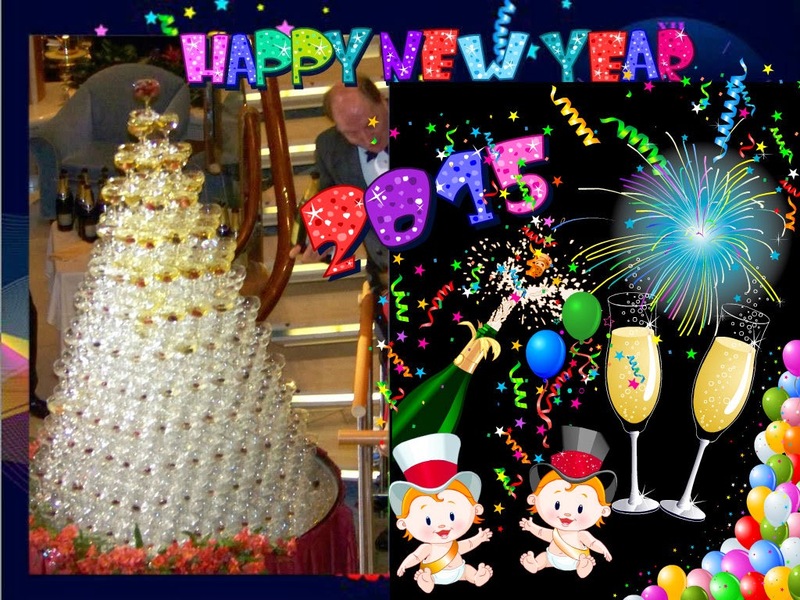 The celebration already began on Regal Princess when it's Caribbean debut cruise in November. The celebration will take place on all Princess ships starting today. In the upcoming months, several cruise lines will be introducing new ships. SS Maria Theresa, Uniworld's newest river boat, will launch in March. 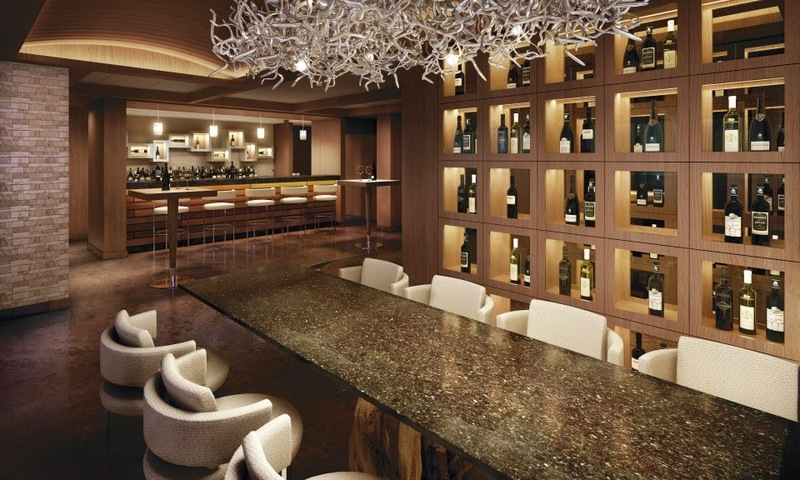 Viking Ocean's, first entry into ocean cruising, Viking Star, will debut in Spring. 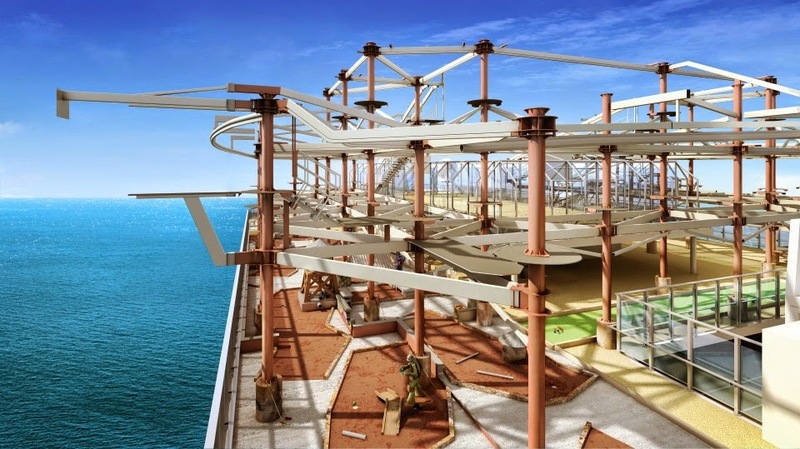 Anthem of the Seas, sister ship of Royal Caribbean Quantum of the Seas, will also launch in Spring. 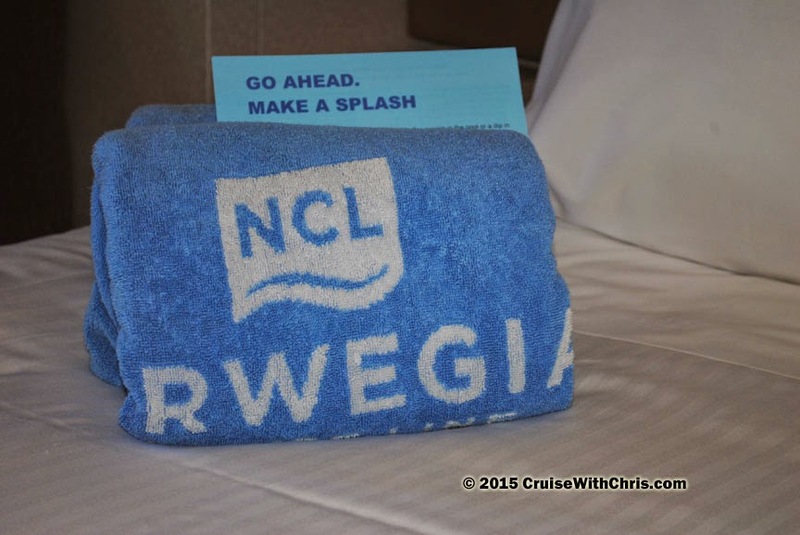 Norwegian Cruise Line will introduce a new ship class when Norwegian Escape launches in October. 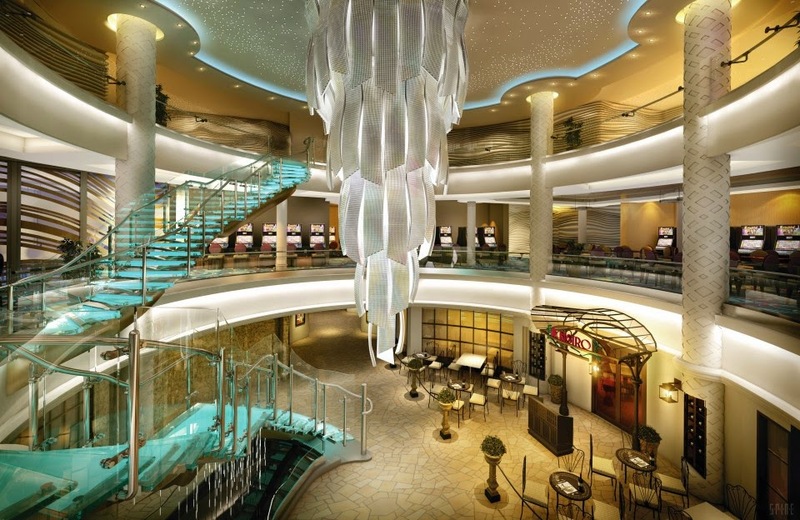 All of these ships will introduce new dining and entertainment options for cruise passengers. These new ships add capacity to these cruise lines and give you additional options. 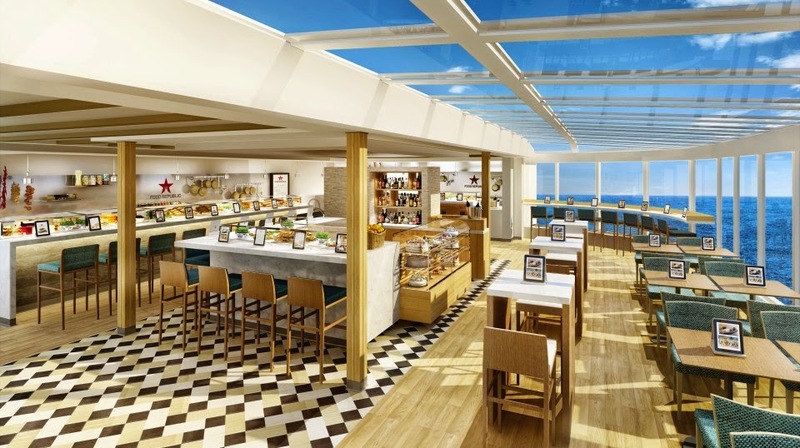 Besides new ships, existing ships are getting face-lifts with new features being added, primarily based on passenger feedback and acceptance of the features on recent ship builds on the same or other cruise lines. Royal Caribbean Explorer of the Seas is just one example of the changes being made to enhance passenger experiences with the addition of Oasis-class enhancements. Is 2015 the year you plan to complete a trip from that list? Whether it's a far away exotic destination like Asia, Australia, and the South Pacific or something close-by like Bahamas and the Caribbean, you'll find a cruise ship sailing to your ports of call of choice.